Handy Man's Special. Needs Work. 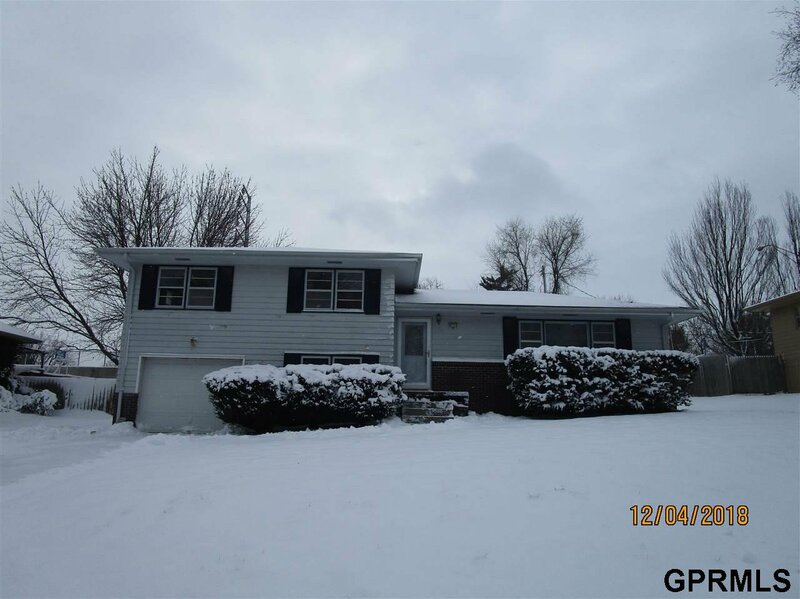 3 Bedrooms & 2 Bath MULTI-LEVEL in the Ralston School District, Great Location. Hard Wood Floors in Living Room, Bedrooms, Hall Way & Steps. Main Bath has A "Walk-In Tub". 3/4 Bath has Full Ceramic Tile Shower. Paneling in Dining Room & Partial in Living Room & Family Room. Fenced Yard. 1 Car Garage with Opener. Being Sold in "AS IS" Condition. Listing courtesy of Rainbow Realty. Selling Office: Nebraska Realty Burt St.